Home English Phenomenon-Based Learning: What is PBL? In Finnish schools, phenomenon-based learning is changing the face of education with its interdisciplinary approach. Read on to understand why PBL works. 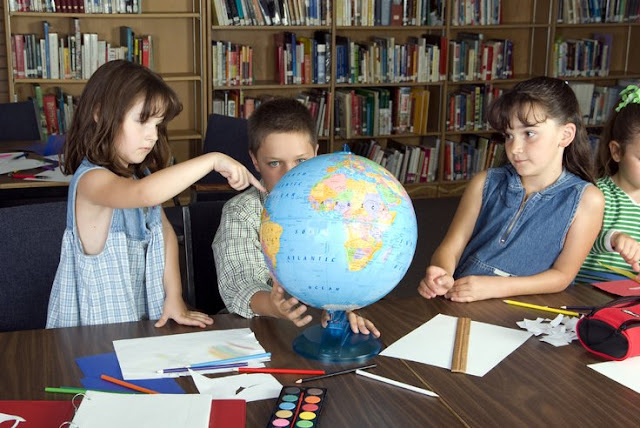 Finland is considered one of the global superstars of education. Boasting innovative teaching methods and stellar results on international tests, many educators are wondering what Finland has been doing to set itself apart from the rest of the world. One of the cutting-edge approaches that Finland is using in its schools is called phenomenon-based learning (PBL). Phenomenon-based learning does not include a strict set of rules, but rather comprises a combination of beliefs and best practices, supported by ongoing research. In this approach, a classroom observes a real-life scenario or phenomenon — such as a current event or situation present in the student’s world — and analyzes it through an interdisciplinary approach. As explained in the EdTech review, an essential part of the process is that it is a student-led investigation, with students playing a primary role in identifying the gaps in their knowledge that they want to fill. The aspect of Finland’s expansion of PBL that has gained most attention from the media is its interdisciplinary approach. Instead of focusing on segregating topics into subjects such as math, science, and so on, the new PBL reforms require schools to include several units a year that involve learning about one topic — such as the European Union — by approaching it from several approaches. These changes will not get rid of subject-based learning, but instead supplement those established courses. This is neither the only nor the most significant tenet of PBL. Most importantly, within this approach to learning, students work alongside teachers to develop projects as opposed to passively receiving knowledge from their educators. For instance, students’ questions, ideas, and theories serve as starting points when conceptualizing and planning essays or presentations. Moreover, students have input not only in planning PBL class session, but also in self-assessment. Throughout the duration of a project, which is typically a few weeks, students take responsibility for their own learning and share new perspectives with their classmates. Another component of PBL is the integration of modern technology. Online instruction, including game-based learning, is being worked into the national and local curricula as part of this approach. Use of technology is meant to better prepare students for the ever-evolving demands of higher education and a changing workforce. Additionally, PBL emphasizes other important 21st century skills, such as communication, collaboration, creativity, critical thinking, sustainability, and international understanding. Another benefit of the PBL is that it offers educators flexibility regarding how and when to implement it. Teachers will choose topics they deem important and relevant to their students, and these may vary among classrooms and schools. Moreover, schools have the power to decide how often and for how long to include PBL lessons in their schedules. To varying extents, schools in Finland have experimented with PBL since the 1980s, but by the beginning of 2013, the country started formally implementing a PBL-based curriculum. This began in high schools around the country’s capital of Helsinki and is slowly spreading to include middle schools around Finland, where traditional subject-based instruction still predominates. In 2014, Finland developed a revised version of its National Curriculum Framework, or NCF, with PBL at its core. By 2016–2017, every local school district in Finland will be required to present its own personalized learning standards, based on the NCF, and these will need to include extended periods for PBL projects. Could this affect our comprehension and implementation of the Common Core standards in the United States? Perhaps understanding the changes Finland is going through can help us see our education in a new light. There are several misconceptions that people have about phenomenon-based learning. For one, PBL is not meant to replace traditional subject-based teaching. It is designed as a part of schooling that can widen children’s view of the world and understanding of themselves. Moreover, PBL may appear unstructured due to children’s responsibility for their own learning. This is untrue; the PBL environment is prepared by the teacher, in a way reminiscent of a Montessori school setting. Based on grade level and, more importantly, children’s developmental needs, teachers must select and set up content and research materials prior lessons. Lastly, a misconception that relates closely to my teaching is that only certain children are equipped to learn in this kind of educational setting. In my experience, children from all backgrounds, and especially those at risk of poverty-related academic, emotional, and social difficulties can benefit greatly from the structure and flexibility that PBL offers. Using this strategy, teachers decide on project topics that connect to their students’ background knowledge, including personal experiences. Students then participate in creating and evaluating their learning experiences. When children are happy, they learn better. Resilience can then build within the community through the joy of learning — a hallmark of PBL. Not all schools and teachers in Finland are equally thrilled about these changes. Teachers are asked to alter their mindsets and teaching routines, and this is hardest for those who have been in the profession the longest. For instance, teachers who are well-versed in a particular subject area are now being asked to work collaboratively with other teachers to design interdisciplinary projects. Since 2013, every Finnish teacher has been required to design and set aside time for a project, usually lasting a few weeks, that exemplifies the PBL approach. In order to implement this plan, teachers must be trained to do so. With PBL in the works, Finland will have to determine the most effective and suitable way to train its nation’s teachers. While it may be easier for teachers in more densely populated areas to get training in PBL, what about those in more remotelocations? As with any curricular reform, quality professional development is certainly of the utmost importance. Test scores alone certainly cannot and should not be the determinant of the success of a classroom, school, district, or nation. Phenomenon-based learning in turn brings students closer to real-world challenges and can better prepare them for college and a career. Carey, B. (2014). How We Learn: The Surprising Truth about When, Where, and Why It Happens, pp. 36. Random House LLC.